Phentermine CAN help with weight loss, but only if used correctly. And it can get a little bit tricky if you have thyroid problems, hypothyroidism or Hashimoto's thyroiditis. If these conditions are untreated and you take Phentermine you may be putting unneeded stress on your adrenals and thyroid which can make you feel worse. But, if you use this medication correctly you CAN get results and it can help you with weight loss. ​It's certainly not a miracle drug that will result in dramatic weight loss, but it can be helpful for a variety of reasons which I will outline in this post. ​I also want to show you how I use it on my patients, and how it can be MOST effective in balancing hormonal levels. I don't recommend using weight loss drugs by themselves to try and force your body to lose weight because this tends to cause MORE problems than it helps. If you will recall from my previous posts, in order to lose weight you NEED to balance your hormones. If you are still of the opinion that weight loss is about reducing your calories then stop reading right now and read this post. These may sound good to you, but you have to be cautious especially if you have thyroid and/or adrenal problems. 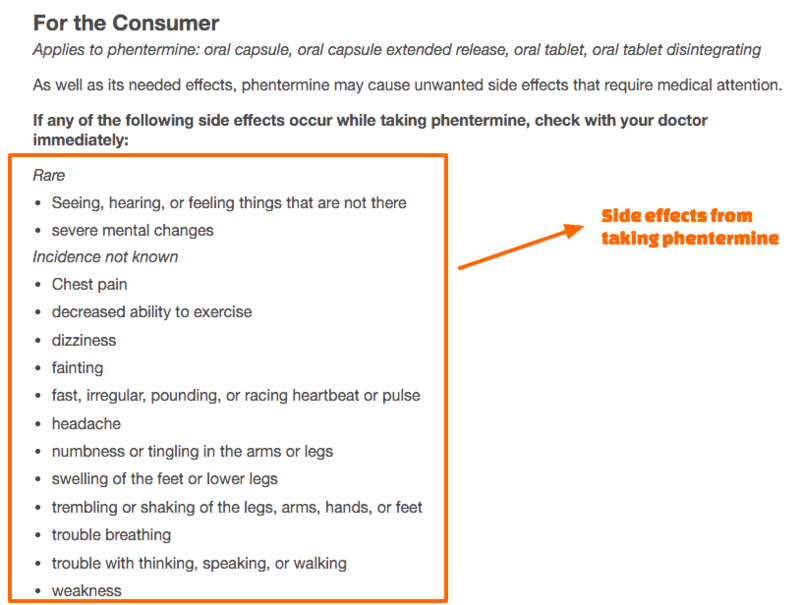 Phentermine acts to increase your metabolism by increasing the amount of norepinephrine (adrenaline) in your body (1). ​This same mechanism also results in a reduction in appetite and is the same mechanism that many ADD/ADHD medications use to help with focus and attention. Taking phentermine may cause patients to feel more energy, increase their basal metabolism and reduce their appetite. As you know, your thyroid (in conjunction with your adrenals) controls the metabolism of your body. Patients with hypothyroidism usually have a lower than normal metabolism (2) (sometimes as much as 30-40% below normal!). So they are already at a disadvantage when it comes to losing weight. At first glance, you may think that adding Phentermine, which increases metabolism, would be a good idea. Unfortunately, it isn't that easy. Taking phentermine when your thyroid is untreated puts excess strain on your adrenals which can ultimately make thyroid function worse. Remember that your thyroid gland and adrenals function as one unit​ (3)! Because of this, I don't recommend taking Phentermine unless you are currently being adequately treated with Thyroid hormone and you have addressed your adrenals. For patients that see me in my office who have been untreated, I recommend they use thyroid medication with adrenal support for at least 4 weeks before adding phentermine. ​Can your Thyroid handle Phentermine? Is your basal body temperature < 97.8? Are you taking T4 only medication like Synthroid or Levothyroxine? Do you still have hypothyroid symptoms? Do you have palpitations or feel like your heart is racing? If you answered Yes to any of these questions then I don't recommend that you start taking Phentermine until these are addressed! Are you dependent upon taking Adrenal supplements like adrenal adaptogens or adrenal glandulars? Do you have symptoms of Adrenal fatigue: Wired but tired, salt and sugar cravings, decreased sleep, inability to tolerate stress? Are you dependent upon caffeine for energy? If you answered yes to any of these questions I don't recommend starting phentermine right away. But it does have some interesting side effects that we can exploit to make balancing your hormones easier. By far the most beneficial side effect of phentermine is its ability to reduce appetite. This side effect can be VERY helpful in patients who suffer from intense food cravings (like those with Leptin Resistance) or in patients who need to be on fasting protocols because of Insulin Resistance. As you may know the key to reversing insulin resistance is reducing insulin levels, and there is no better way than fasting. 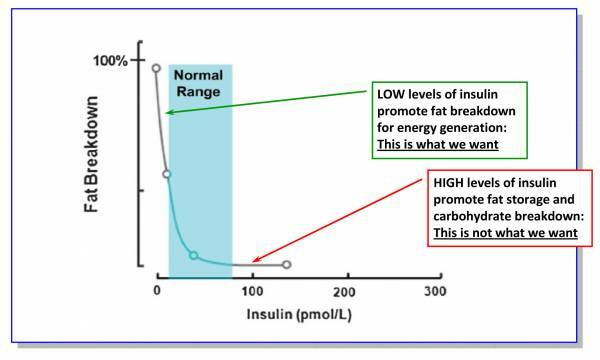 Once insulin levels drop low enough your body begins to burn purely fat cells as an energy source. ​To reverse these hormonal conditions I will have patients use phentermine ONLY on fasting days to curb their appetite and make the fasting process easier. Using phentermine in this way makes it so patients are only using it 1-2 days per week for intermittent fasting, or 2-4 days in a row for more prolonged fasting periods. ​There is a BIG difference! Unfortunately, the WRONG way to use phentermine is the most common way that it is used. Most people believe that taking the medication will reduce their appetite which means they won't eat as much which means they will lose weight. Remember that this does NOT lead to long-lasting weight loss and about 98% of people who try this type of diet ultimately e﻿nd up gaining the weight back (4). The biggest mistake you can make is using phentermine to reduce your calories for a prolonged period of time while still eating poor quality foods - just less of them. This WILL result in further thyroid damage (5) and weight gain once you stop the medication. Traditional advice is to take the medication daily for several months, then stop it. I've even seen some patients on it for as long as 12 months. If you are taking it long term (which I don't recommend) make sure that you only use it 5 days out of the week, and take a 1 month break every 2 months. Even though phentermine CAN be beneficial does not mean that it will be for every individual. In my experience up to 15-20% of patients don't tolerate it well due to a variety of side effects. Insomnia - This is a BIG one, do not take this medication if it keeps you from sleeping. Lack of sleep leads to weight gain (6)! There are obviously more side effects and you can view the complete list here (7). If you experience these side effects you can try reducing the dose by half, or even taking the medication every other day (or only on fasting days!). But don't continue taking them if the symptoms don't resolve, it's not worth impairing other systems in your body to lose a couple of pounds. If you currently have Hypothyroidism or Hashimoto's and you are considering taking Phentermine, make sure you are taking an adrenal supplement. In my patients, I typically wait until they have been on adrenal support (AND thyroid support with T3 medications) for at least 4 weeks before I start phentermine. Unfortunately, you can't control the thyroid medication that your doctor gives you, but you can control the adrenal supplements that you take. If you have low-grade adrenal fatigue I recommend starting with adrenal glandulars. If you have SEVERE adrenal fatigue you may benefit from a combination of adrenal glandulars + adrenal adaptogens to boost adrenal function. Combining these supplements with proper thyroid medication (like Naturethroid or liothyronine) balances both your cortisol and thyroid levels and puts the body in a position to burn fat like crazy. ​I will often combine these therapies with a fasting protocol (to reduce insulin levels) with great results. Phentermine isn't a magical medication that will help EVERY patient lose weight. Having said that it can be used to help balance other hormones in your body and ultimately lead to weight loss. My favorite side effect of this medication is appetite suppression which can be used in conjunction with fasting to reverse insulin resistance and leptin resistance which will lead to lasting weight loss. Even though it can be helpful in some people it can also cause more harm than good, especially if it's used in patients who are being undertreated for their thyroid or in patients with untreated adrenal fatigue. That's why I don't recommend taking this medication unless you are also on thyroid medication and adrenal support. Have you used phentermine to help balance your hormones? Did it work for you long term? ​Would you recommend it to other thyroid patients?